The advance of modern technology has given us many luxuries that we can enjoy, from the smartphones that replaced our old phones, cameras, computers, and navigational devices, to free information about anything you can think of, all only a few taps away. But there is one, out of a handful of luxuries, which really changed our whole perception of the scope of technology – online casinos. 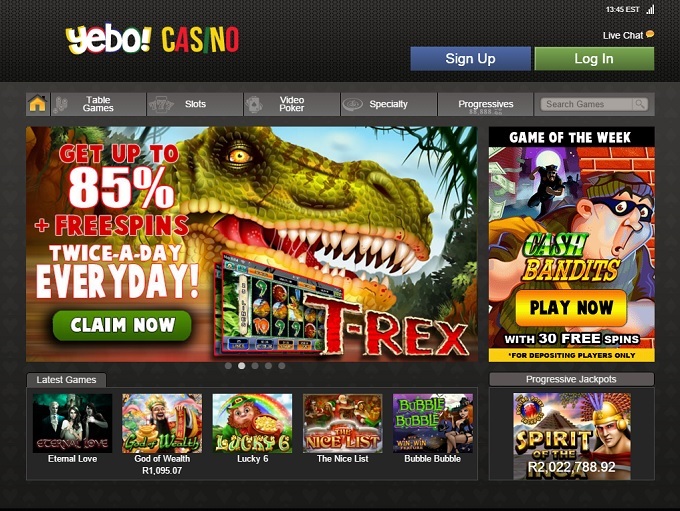 South Africa’s most popular online casino, Yebo Casino is licensed in Curacao and its games are powered exclusively by Real Time Gaming Software. There is a wide selection of games to play at Yebo Casino, including some of the best slot collections online, with everything from classic 3-reeled slots, to global progressive slots like Cleopatra’s Gold and Aztec’s Millions. You can also find 15 card games, including Blackjack, Baccarat, Poker, and Pontoon, 2 Roulette variations, Dice, and an impressive Video Poker collection of over 50 games. The casino offers popular e-wallets like Neteller and Skrill for both withdrawals and deposit, but only one currency – the South African Rand. The welcome bonus at Yebo Casino is 50 free spins + 150% match on your first deposit, and 75% and 50% matches on your second and third deposits, respectively. Thunderbolt casino is one of the most popular African casinos, mostly because it remains loyal to African players by offering them exclusive bonuses. The casino is licensed in Curacao and its games are powered by Real Time Gaming Software. Thunderbolt have more than 70 slots to chose from, including popular progressive titles like Megasaur and Spirit of the Inca, but also 5-reeled classics like Ghost Ship and Pirate Isle. 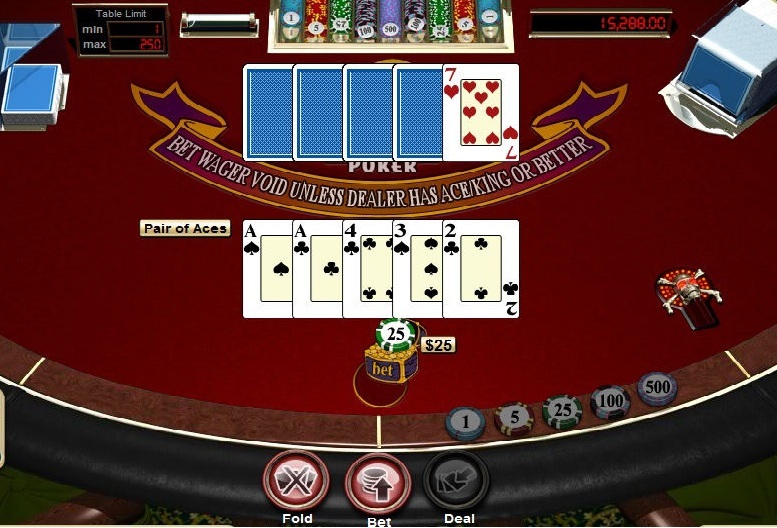 Those who like cards can choose between 11 games, including Blackjack, Poker, and Pontoon, or any of the 9 Video Poker varieties, while table game fans can try 3 Roulette varieties and Craps. The casino accepts several cards and e-wallets, but you can only pay or withdraw in South African Rands. The welcome bonus at Thunderbolt is a 100% match on your first deposit, and 125% and 150% matches on your subsequent deposits. Casino Midas is a gold-plated casino that’s licensed in Curacao and entirely powered by Real Time Gaming Software. The casino’s forte is its slot selection, which ranges from the life changing mega jackpot slots Jackpot Pinatas and Aztec’s Millions to popular 5-reeled titles like Rudolph’s Revenge and Texas Tycoon. 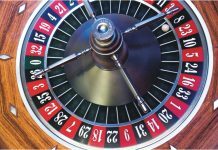 You can also find several Roulette and Blackjack varieties, as well as Pontoon, Baccarat, Craps, and Video Poker. 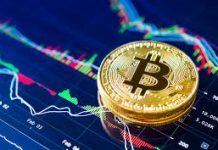 You can pay and withdraw by two e-payment solutions, visa cards, or direct banking , and their welcome bonuses are 100%, 150%, and 200% matches on your first three deposits. Casino.com is a Gibraltar-licensed online casino that’s powered by one of the best casino game developers in the Industry – Playtech. There are over 100 casino games to choose from, the majority of which are slot games. You can find 50 slots at Casino.com, from classic-themed games like Rome and Glory to modern five-reeled Holywood games like The Avengers and the Fantastic Four. You can also find a quality table game selection with 16 Roulette variations and Craps, as well as 24 card games, including Blackjack, Poker, and Baccarat. The casino accepts a wide range of payment solutions and you can withdraw with both e-wallets and cards. The welcome bonus is a 100% match on your first deposit in a maximum of $400, but also up to $3200 in accumulative bonuses on your next 6 deposits. Bet 365 is licensed in Gibraltar and powered by the best names in casino game development – Microgaming and Playtech. The casino has some of the most impressive slot collections online, offering everything from major progressive titles like Avengers and Leprechaun’s Luck to modern licensed slots like the Mummy and Iron Man 3. You can also find 5 Roulette varieties, 12 Video Poker games, Craps, Blackjack, Pontoon, Poker, as well as several live dealer games. Bet 365 offer a wide range of payment and withdrawal methods, as well as over 20 currencies to choose from. The welcome bonus at the casino is a 100% match bonus, but you can also get a 200% bonus to spend at the slot games.